GoGargle!™, the brand new effervescent salt gargle from O'Connor and Companies, LLC, that soothes and moisturizes dry and irritated throats, scored a major victory at the 2014 ECRM Cough-Cold, Analgesics and Allergy Convention. "This is a tremendous honor," said company founder and president Tim O’Connor. 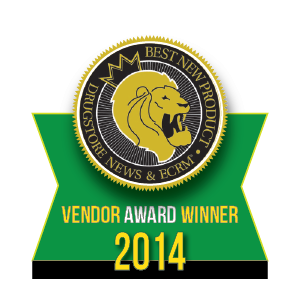 "ECRM is comprised of all the heavy hitters, including CVS, Walgreens, Rite Aid, and many others." 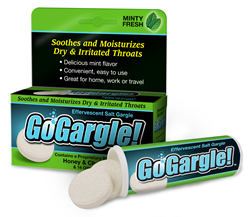 GoGargle!™, the brand new effervescent salt gargle that soothes and moisturizes dry and irritated throats, scored a major victory at the 2014 ECRM Cough-Cold, Analgesics and Allergy Convention. The upstart product, manufactured by O’Connor Companies, LLC, of Scottsdale, AZ, was chosen by retailers as Best New Product, beating out such stalwarts as Johnson & Johnson, Ricola, Bayer, GlaxoSmithKline, and Reckitt Benckiser. Consumers or retailers interested in learning more about GoGargle!™, or O’Connor Companies LLC, can visit http://www.GoGargle.com or call 855-GO-GARGL (855-464-2745).